NEW YORK -- New York City Mayor Bill de Blasio's office has hired two law firms to help the city get documents ready for federal prosecutors looking into his fund-raising. Meanwhile, a real estate developer who also wants to be the next mayor is now claiming that de Blasio, while mayor, personally called him for a $20,000 donation. Don Peebles is very rich, close to a billionaire, who is eyeing a run for the city's highest office. Back in 2014, he gave those thousands to de Blasio for what he thought was going toward the campaign to get universal pre-K accomplished. But when the money supposedly went to other purposes the mayor was pushing, Peebles said no way. "So when the money started being used for political purposes and spinning political things, then I thought that was inappropriate," he said. "And I asked for my money back." Federal and state prosecutors are now investigating the mayor and how his team at City Hall raised campaign money. Peebles calls it unseemly that the mayor himself was calling in the first place. "He wasn't staying in his lane," Peebles said. "I just thought it was undignified that the mayor of New York City is calling anybody asking them for a dime, period." Prosecutors have now subpoenaed one of the mayor's top advisors, his top campaign expert and his former campaign treasurer in a sprawling investigation into big-time money that flowed to the mayor and his favorites. 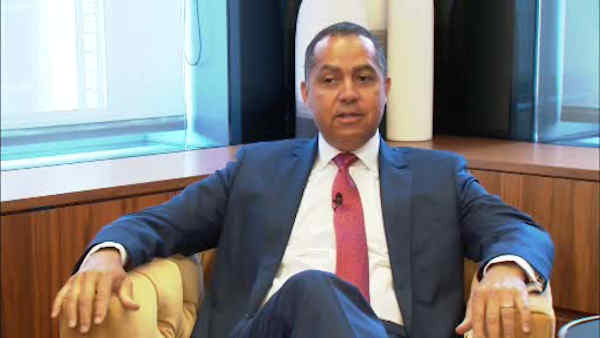 "And I think what has now happened is that it is an environment of pay to play, and that's contrary to what he ran on," Peebles said. "So it makes him a hypocrite. I think it makes him disingenuous. He has conned the voters." In response, de Blasio pointed to his previous statements that he has done absolutely nothing wrong. "Everything we've done is legal and appropriate, and we're going to fully cooperate," he said last month. We asked Peebles if he was slamming the mayor about his fundraising investigation now because he's a likely candidate for mayor next year. "The reason that I am compelled to consider running for mayor is because of things like this," he said. "And it just keeps getting worse and worse and worse."